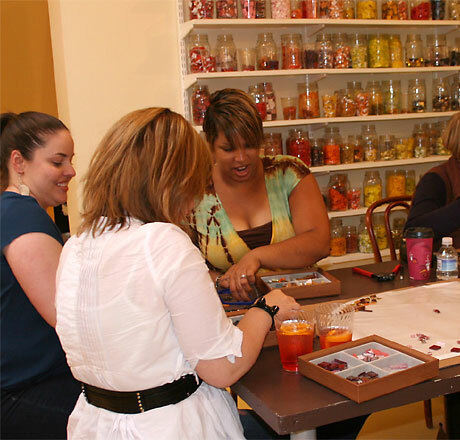 Our studio space is available for all kinds of private parties and gatherings. Plan your next event around creating beauty. Making mosaics is a great group project. Groups can work together cooperatively on one mosaic, or work side-by-side on individual projects. A mosaic is perfect for any special occasion or gathering, whether in celebration or in remembrance. We can also help you host a mosaic party or gathering at your home or office. Packages that allow many people to work on a project by doing the fun (and not messy) design part and then have us complete the cementing and grouting back at the studio. The ideas are endless. Please contact us to discuss what kind of events you are imagining and for quotes.